Don’t ask me what this book is about, because I’ll answer you all wrong. I’ll try to explain how a young woman, Ursula, is born into a wealthy English family and is allowed the rare privilege of living and dying and living again until she “gets it right.” And that will make the book sound tedious and confusing–like Groundhogs Day in print–and then you won’t want to read it and you’ll miss out on a fantabulous literary experience and it will be all my fault. And really, between my looming pile of laundry and the king-sized Twix I inhaled while writing this, don’t I have enough to feel guilty about? 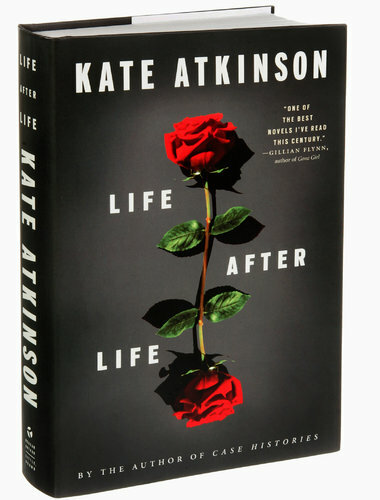 When asked, Kate Atkinson said Life After Life is mostly about “being English.” But I thought the book was also very much about family, as Ursula is born into the same stable but imperfect one over and over again, and every road she takes leads her, ultimately, back to them. Through the failures and triumphs of her varied lives, Ursula’s family remains the one constant. The book doesn’t beat us over the head with this idea; it’s just there, like a welcome warmth through the sometimes chilly pages. This book is unique and fascinating and superbly written, and it challenges the reader in a good way. I read more for mood and impression than a linear plot line, so this book worked for me. I’ve been meaning to read Atkinson for a long time, and now I understand what all the hype is about; whether or not you like the mechanics of this novel, her writing is just fantastic. Previous Article It’s not that there’s nothing to write about.